Boulder vs. Denver: Who Should Win? The recent issue of Sunset Magazine highlighted a foodie face-off between Boulder and Denver. Where Boulder is acknowledged for having a plethora of organic foods, chef-farmers, and the farmers market, Denver is recognized for attracting chef transplants and having international flavors available into the wee hours. We definitely agreed with their assessment of places like The Bitter Bar, Black Cat, Civic Center EATS Outdoor Cafe, Marczyk’s Fine Foods, and Bones and far too many artisanal pizza places in Boulder. We were also excited to see a slew of notables from our Culinary Council including Hosea Rosenberg, Peggy Markel, Bradford Heap, Mark Stoddard and many others mentioned in the article. But, we thought one point lacked accuracy and may have skewed their final ruling, (not all Boulderites wear performance-fiber windbreakers and bike cleats to dinner). The verdict; Sunset Magazine’s deemed Denver the winner by a mere 3 points. Who do you think should have won the food fight? Ok, you may have only been to the farmers’ market once (maybe twice) this year. So the last thing that you’re likely to be thinking about in these first days of summer is winter. But for a moment just imagine the first chilly day of December—and think how nice it would be as the snow comes down if you could eat the same locally grown cherries and Colorado beets that you’ve recently enjoyed. 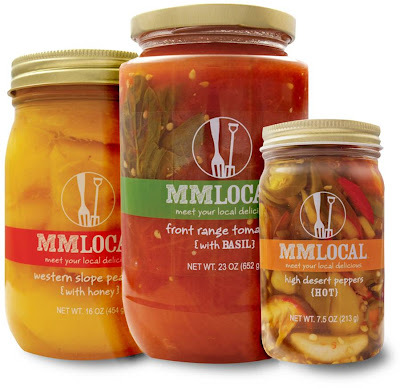 That’s how MM Local, the hip local canning company that came to a First Friday lunch last year, is thinking. Right now as you are heading out to farmer’s markets, MM Local is beginning to work with local farmers to preserve the season’s best so that it can deliver Colorado produce to you in the cooler months. MM Local has just launched its 2011 Harvest Share program—and this is a great way to ensure your access to local produce year-round. Sign up now, and in the fall you will get a delivery of preserved tomatoes, peaches, and more. (You can think of it like your winter CSA.) And good news some of its shares are on sale now! As we shake the final rainy days of spring and look forward to a forecast of sunshine, we’re anxious to get out and about. And the good weather’s not the only reason. In the past months, Boulder and Denver restaurateurs have been busy creating new spots--and reinventing old ones. This weekend and next week, they start to open their doors (and food truck windows). Here’s what to keep your eye on. 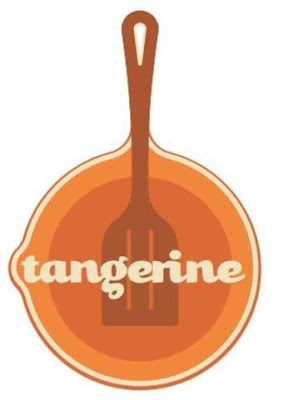 Tangerine – This breakfast and lunch spot from the chef/owner of Arugula promises to bring retro fun to the beginning of the day. Opens Saturday, June 4. 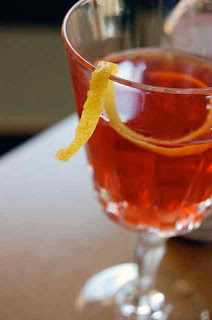 The Kitchen [Next Door] – The Kitchen’s third venture is focused on approachable, community dining and sustainability. Soups, salads, and sandwiches make up the menu, and the restaurant's floors, bar, and windows are made of recycled materials. Opens Thursday, June 9. Justice League of Street Food - This hip group of food trucks kicks off its summer parties at a new location, TAXI, with food from Steuben’s, Biker Jim’s, and more. First event is Saturday, June 4. Linger - In the Olinger Mortuary, the hub of Lower Highland, the owner of Root Down opens a restaurant dedicated to crafted cocktails and global street food. Opens Tuesday, June, 7.